We build Earthships for people. We have several designs that you can choose from, according to your budget and your location. You can purchase construction plans from our online store and build your own home or hire Earthship Biotecture to construct it for you. If you have land and funds and wish to discuss the possibility of having an Earthship built, then the first step is to fill this form and send it back to reception@earthship.com, and so you will be able to book a consultation with Michael Reynolds. Usually people set their consultation with Michael Reynolds when they are in the planning phase. The rates are $ 300 USD per hour. The Global Earthship design performs in almost any climate around the world. The main features of this design include a double layer of glass (“double greenhouse”) between the inner living spaces and the outside and the use of underground cooling tubes and convection skylights which work together to provide ventilation and natural air conditioning for the building. Global Model Earthships have been built in France, Germany, Mexico, Canada and across the United States. “Off-the-rack” construction drawings are available for purchase and range in size from studio to three bedrooms. Visitors to the Greater World Community can rent one of these model homes for the night and experience how comfortable it is to live in an autonomous home. The Simple Survival Earthship is designed to provide comfortable shelter, clean water, contained sewage and basic solar power for lights and charging small electronics at a very low price. This building uses simple systems developed for the earthquake-relief demonstration project in Haiti. The Simple Survival Earthship may be built with one or more rooms and has evolved to include Vaulted Concrete and Wood Roof options. The concept has been applied to numerous disaster-relief and humanitarian builds around the world. For those inspired to build their own, Earthship Biotecture offers a Simple Survival app with Earthship construction drawings, materials lists, photos and more. The new ENCOUNTER model Earthship is continuing to evolve and we will be building its latest version in Taos, New Mexico this spring/summer. It is meant to function as well as the very successful global model but cost 30% less. A full sets of construction drawings for a studio version, a two bedroom version and a three bedroom version are now on the SIMPLE SURVIVAL EARTHSHIP APP. More info will constantly be added to the app presenting the ENCOUNTER MODEL EARTHSHIP, owner-builder friendly! The Hut Earthship is two Earthship Hut Modules connected by a sloped face greenhouse. This design evolved after a hurricane-relief project in Honduras. 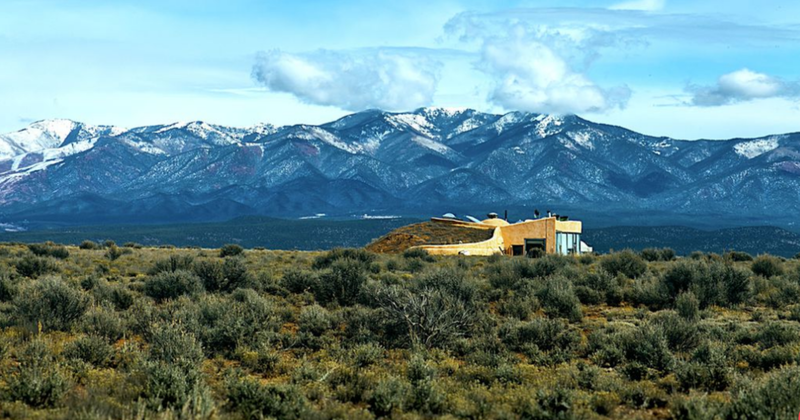 For clients who want a more exotic, special home, custom designs Earthships can be built, still incorporating all the off-grid design principles. Earthship Biotecture realized that adaptation is a good thing, especially on international projects and we can tailor designs to incorporate local building styles and materials. Earthship Biotecture guides clients through the planning and permitting phases of Earthship construction. We have decades of experience navigating the municipal building department regulations. We help clients understand the building process from choosing an appropriate site and sourcing recycled materials to selecting efficient appliances and maintaining their Earthship systems. Our Project Coordinator put together a 7 page guideline for the clients and students to fill out as a first step towards building their Earthship. We will use the information provided to proceed with the permitting and start staging the core requirements for a successful build.